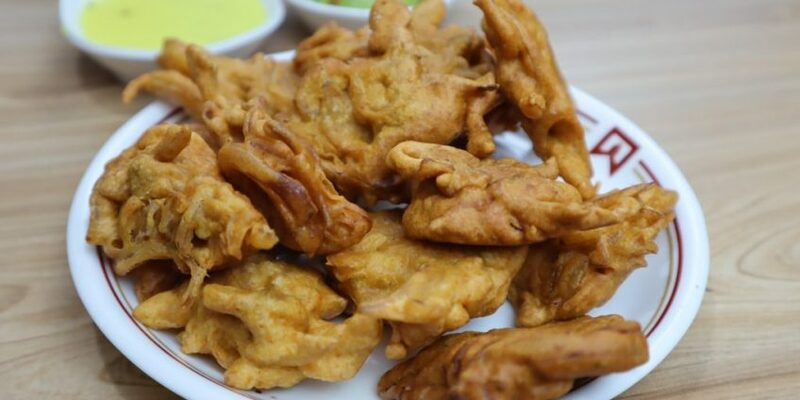 Onion fritters also called as Onion Pakoda is a crispy recipe especially enjoyed during monsoon. The cold atmosphere gets candid with these savoury onion fritters. The onion fritters are really famous at the beaches. The voice of an ocean really makes you so breezy and let you enjoy the best foods. 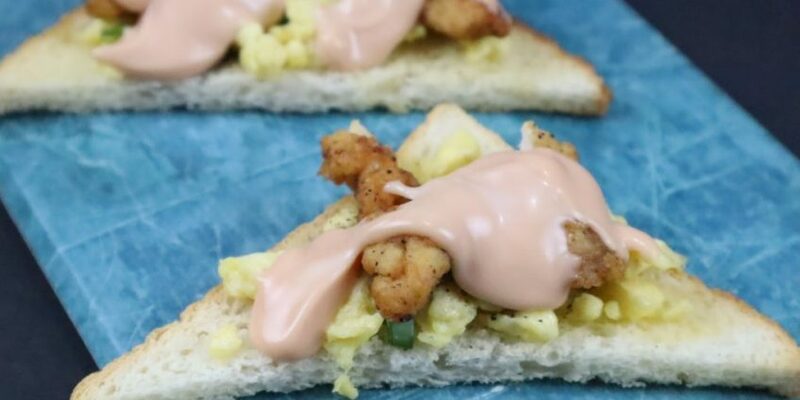 What can be so fun food than these fritters? I am a fritters fan & I usually enjoy it with my friends time. We all love it so much that we cannot resist. Each bite is so crispy & worth your expectations. Take a bowl. Add besan flour, corn flour, salt, chaat masala, chopped onion, chopped green chilly & red chilly powder. Add water and mix it well. Make a thick batter. Once ready, keep it aside. Heat the oil in the pan. 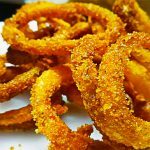 Put small dumlings into the hot oil. Deep fry onion fritters for about 5 minutes. 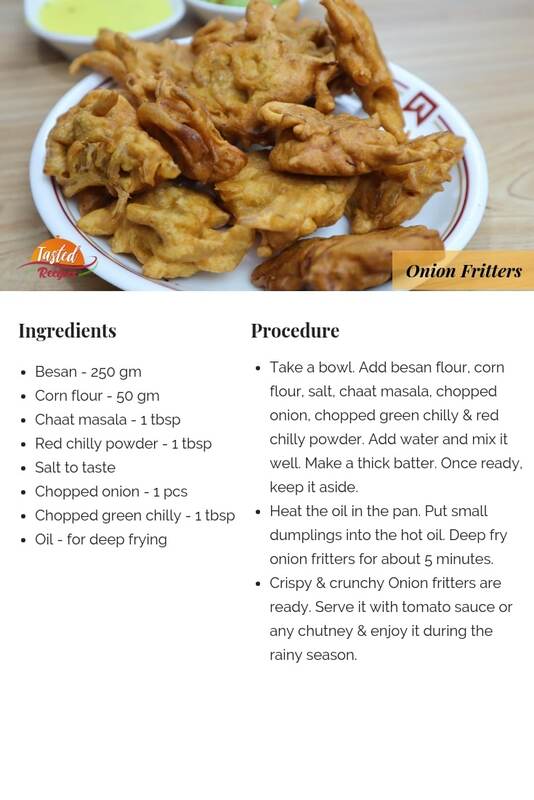 Crispy & crunchy Onion fritters are ready. 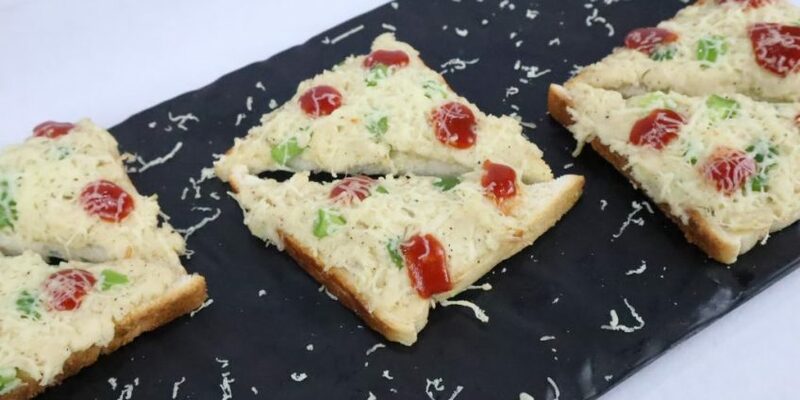 Serve it with tomato sauce or any chutney & enjoy it during the rainy season.